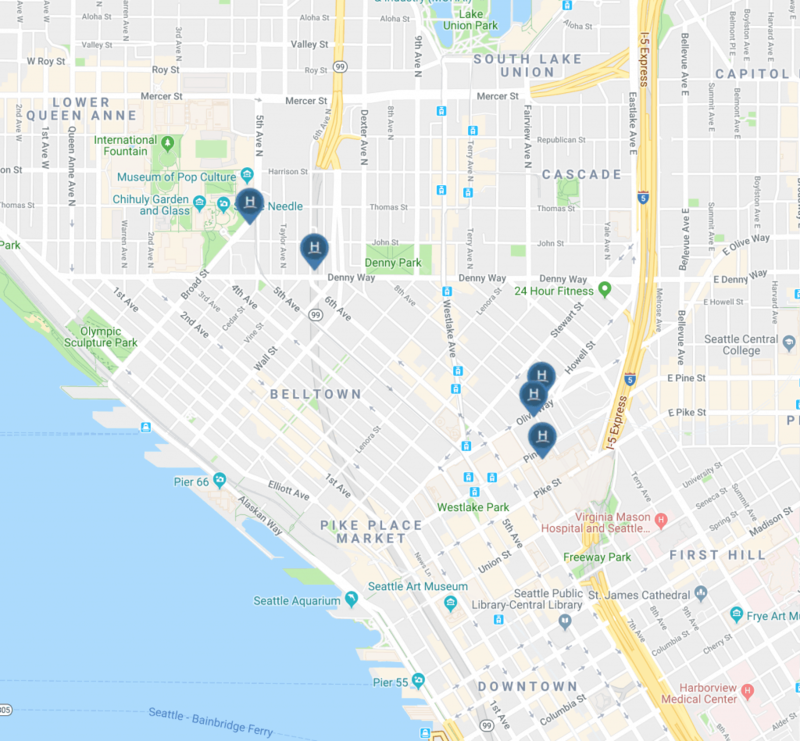 What is the Best Hyatt Hotel in Seattle? 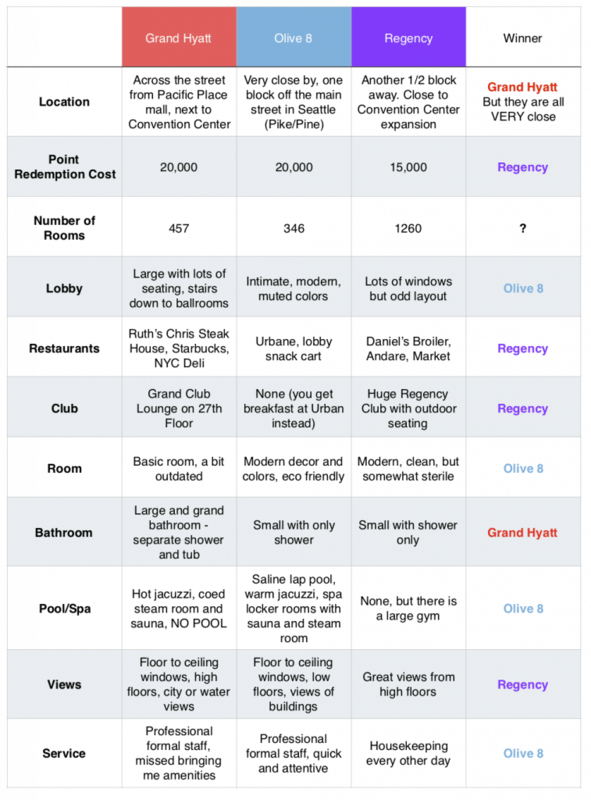 Today Hyatt announced a recalibration of their loyalty award chart. Some properties are becoming more expensive while others are getting cheaper. Not surprising, Seattle area hotels are moving up on the award chart. 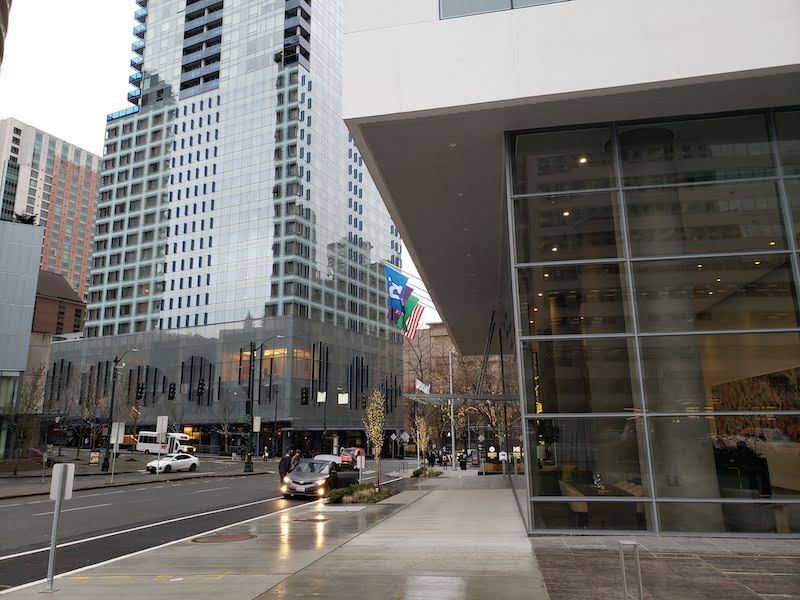 With properties changing category and the opening of the Hyatt Regency Seattle, I decided it would be a good time to revisit my comparison of Seattle Hyatt properties. I will focus on the three full service properties in the heart of the city: Grand Hyatt, Hyatt Olive 8, and Hyatt Regency. Additionally there is a Hyatt Place and Hyatt House close to the Seattle Center and Space Needle. The other area Hyatt properties (Hyatt Regency in Bellevue and Lake Washington as well as additional Hyatt House/Place properties) are not in the city of Seattle and require a car to visit downtown. It should also be noted that with Hyatt’s acquisition of Two Roads Hospital, there were be additional Hyatt properties in Seattle in the near future including the Thompson and Motif. All three of the downtown Seattle Hyatt properties are owned by R.C. Hedreen. The Grand Hyatt opened in 2001, the Olive 8 opened in 2009, and the Hyatt Regency opened in 2018. The Hyatt Regency dwarfs the other properties at 45 stories and 1260 rooms. All three are extremely close together and should not be considered when making a decision of where to stay. 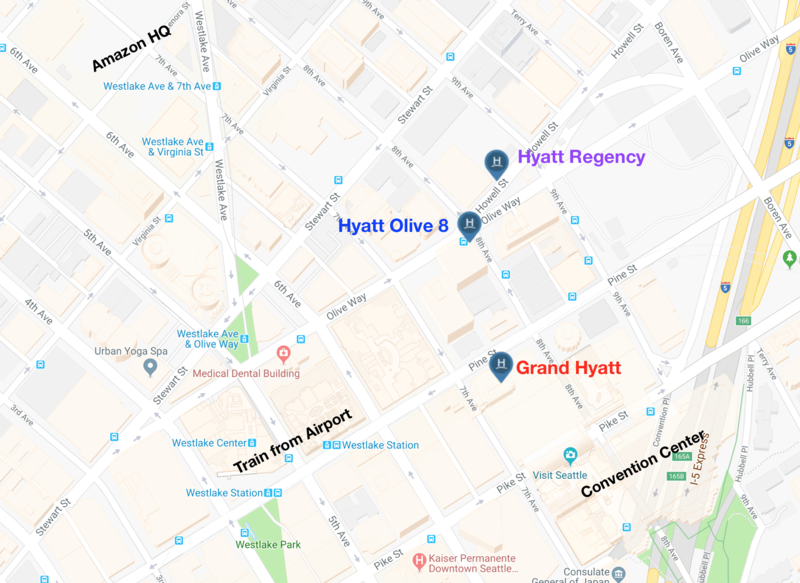 Below I have provided a chart that compares the three properties that I hope will help you make a decision when considering a Hyatt stay in Seattle. Overall, I like the Olive 8 property the best. It has a more boutique feel, offers modern rooms and has a pool. However the Regency is brand new and offers a very solid option. 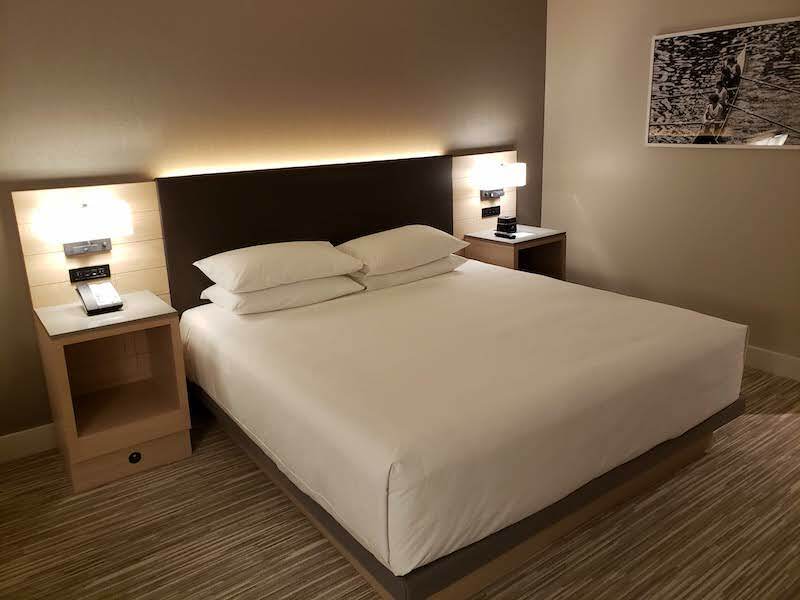 If you are paying cash: The Hyatt Regency tends to be significantly less than the other properties. If you find a date where the Olive 8 is similar in cost, I would strongly consider staying there as I believe it is a slightly better overall property. If you are paying with points: As of March, 2019, only one property, the Hyatt Regency, is a Category 4. In fact, the Hyatt Place and House in Seattle are also Category 4 properties. 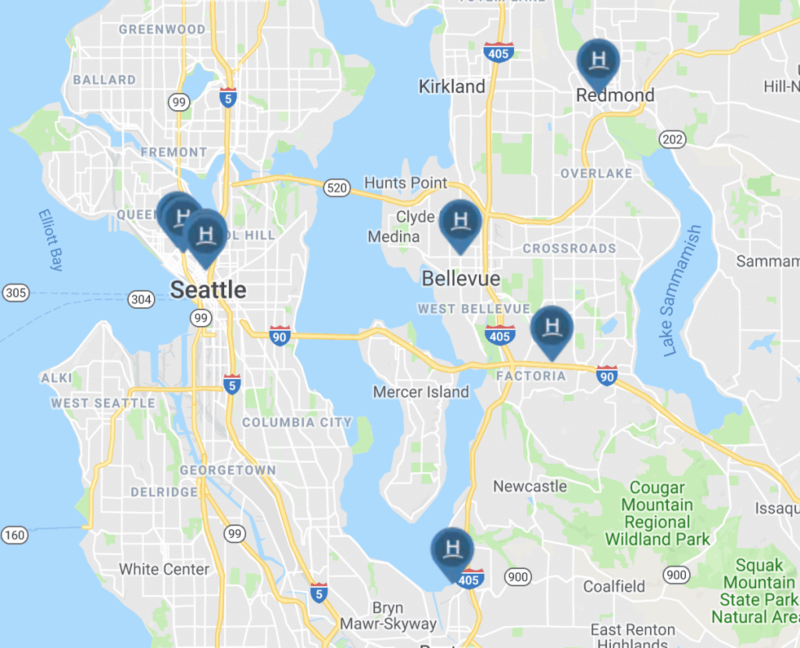 Therefore, if you are redeeming points or a free night certificate from Chase, there is really only one Hyatt option you should consider in Seattle. If you are a Hyatt Globalist: For those with loyalty status or wanting to use a Club Access certificate, the Hyatt Regency has the best Club. The Grand Hyatt has a small Club with a great view. The Olive 8 does not have a Club but does offer a fantastic breakfast at Urbane. 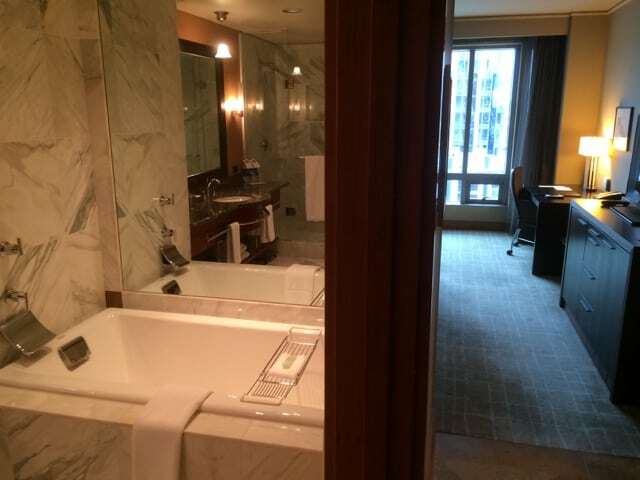 I see no reason to stay at the Grand Hyatt over the other two options unless you really want a tub in your room. 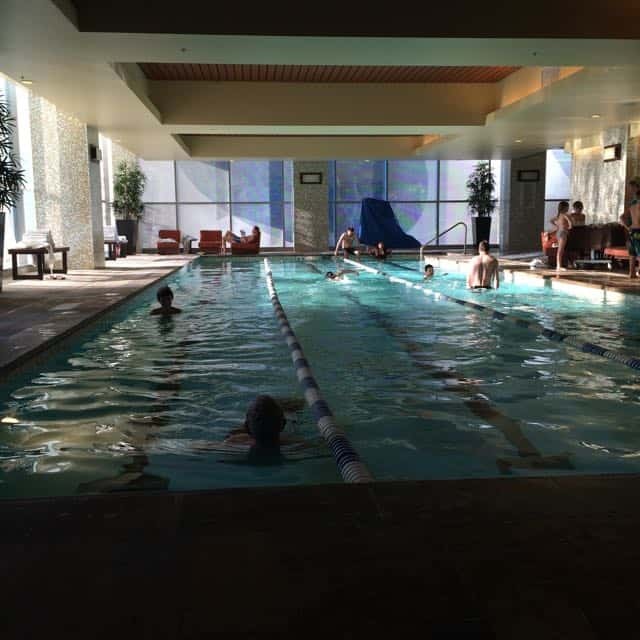 Have you stayed at the Hyatt properties in Seattle? Do you have a preference? Is there anything worth considering that I didn’t speak to?